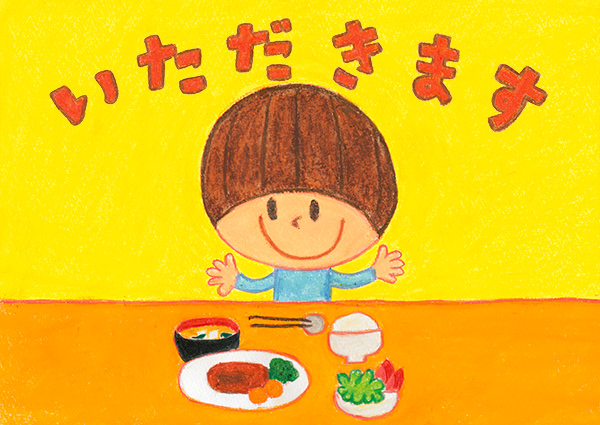 Itadakimasu Piture Book Project aims for publishing a picture book “ITADAKIMASU” to let many people remember how our meals are made, in other words, how we are kept alive. “Itadakimasu” is a Japanese phrase before a meal. It literally means “I humbly recieve” to express the gratitude for everyone and everything relating to our meal. When we see a piece of bread for breakfast, we conjure up the image of farmers who are working under the sun in a broad wheat field.When we see a chicken grilled until golden, we remember one animal was actually killed, then we say “Itadakimasu” to eat them venerably. We hope “ITADAKIMASU” gives you some kind of nice hints to think about your daily life and the social problems.